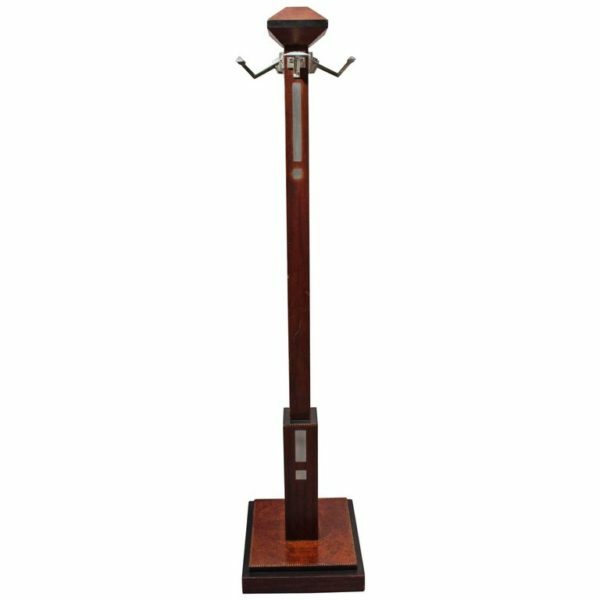 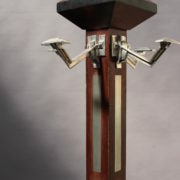 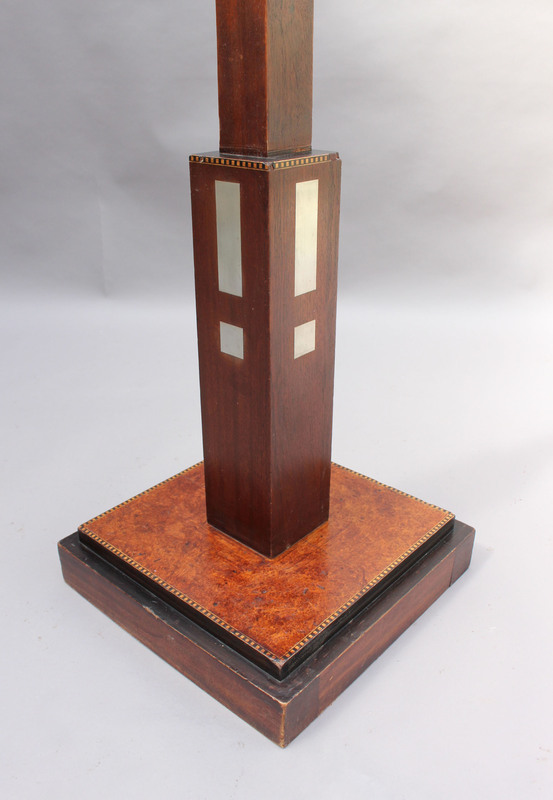 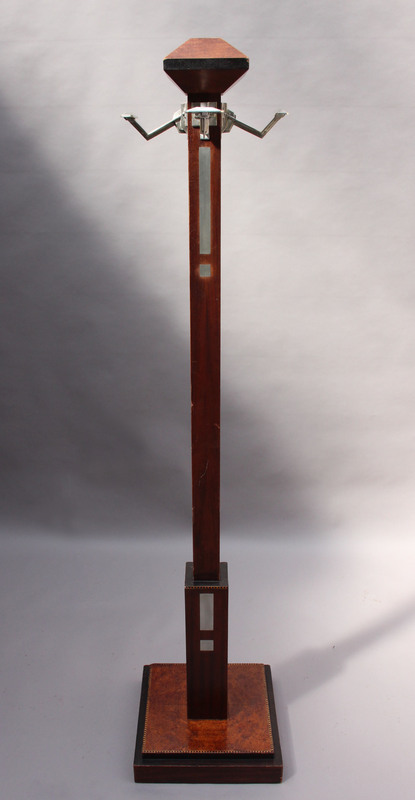 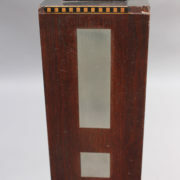 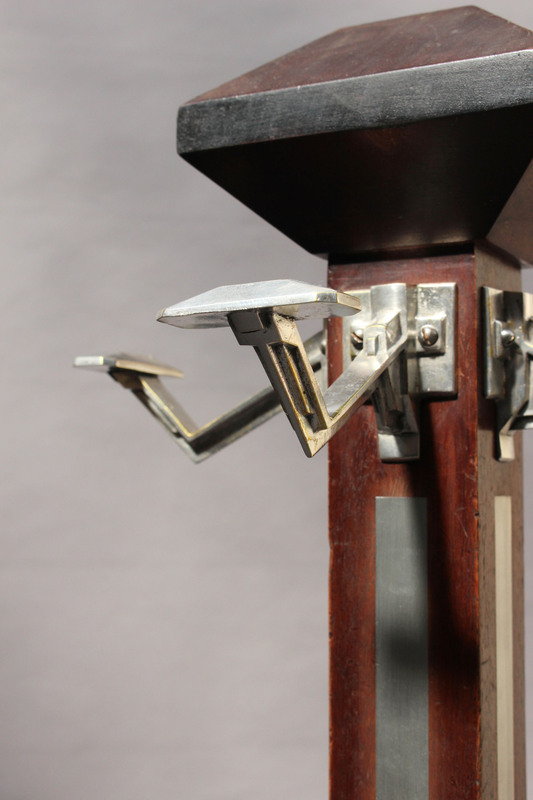 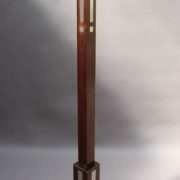 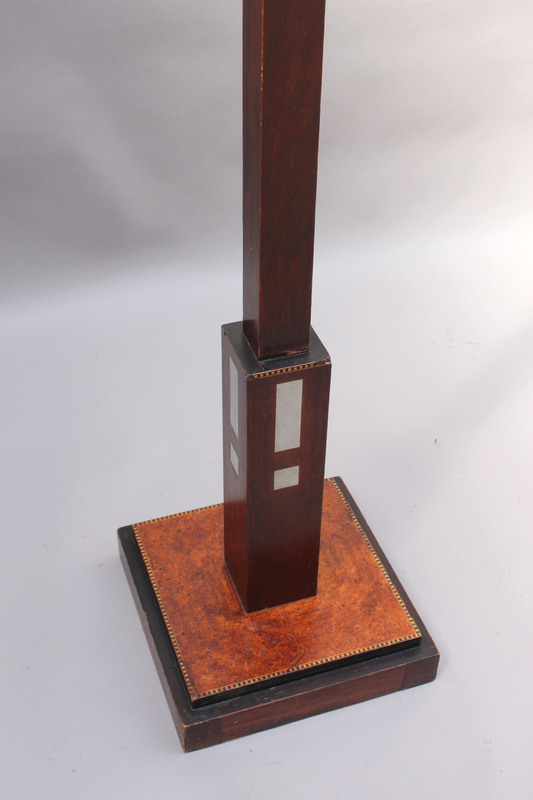 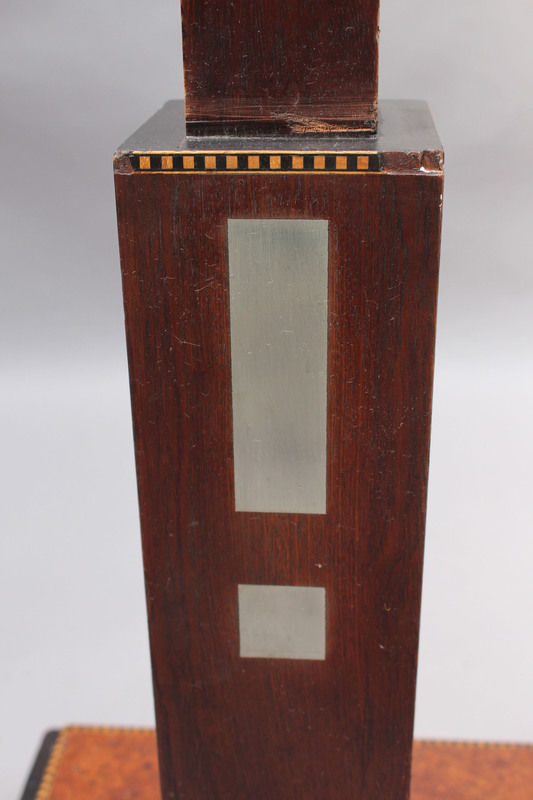 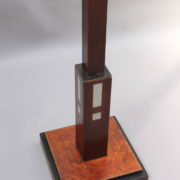 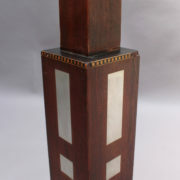 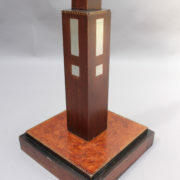 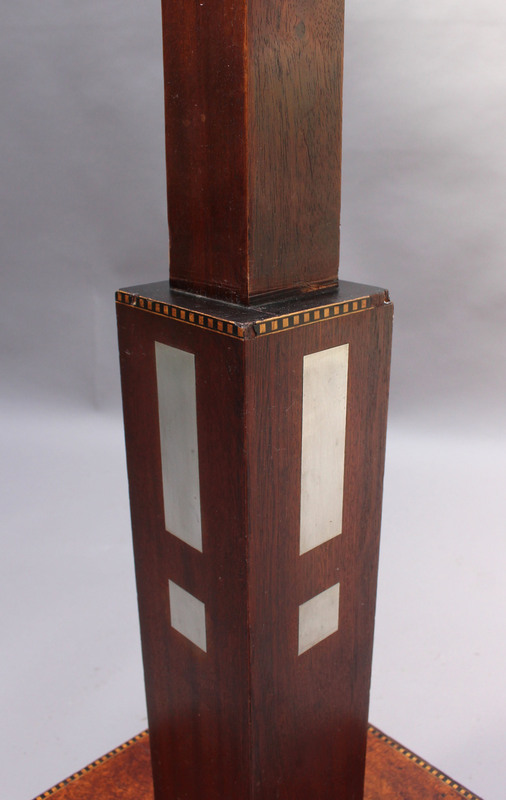 Fine 1900s coat rack with a burled wood and marquetry base, a mahogany with marquetry and metal inlay stem that holds four metal coat / hat hooks, and a trapezoidal wood tip. 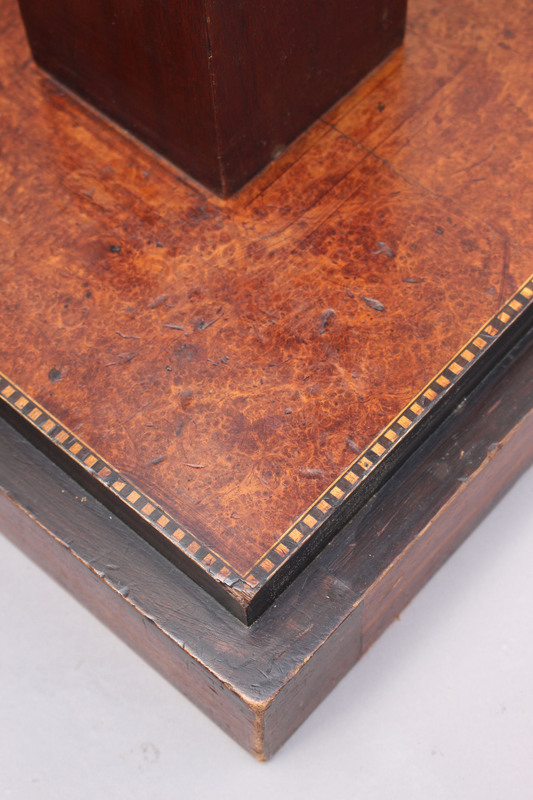 Original vintage condition, wear consistent with age and use; some wood repair to be done, and some minor losses. 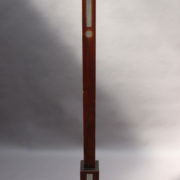 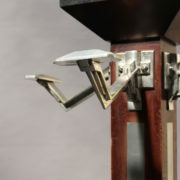 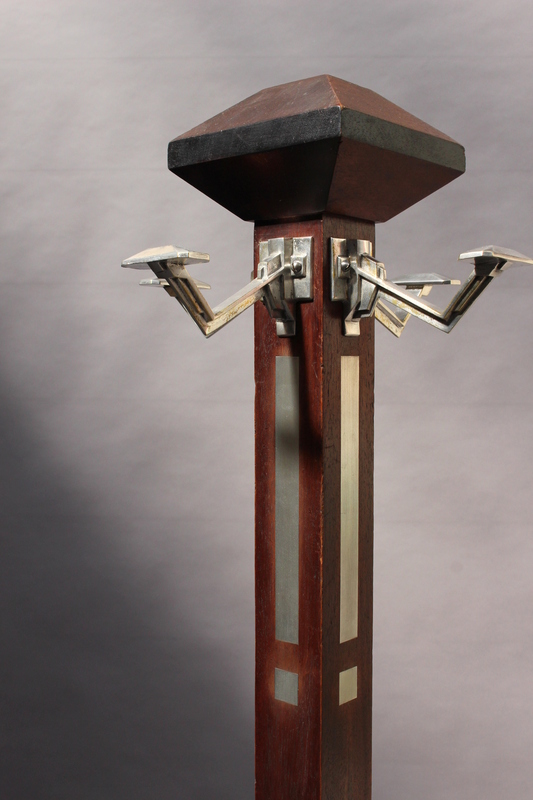 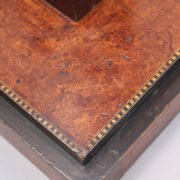 Soyez le premier à laisser votre avis sur “Fine 1900s Mahogany, Marquetry and Metal Coat Rack” Annuler la réponse.